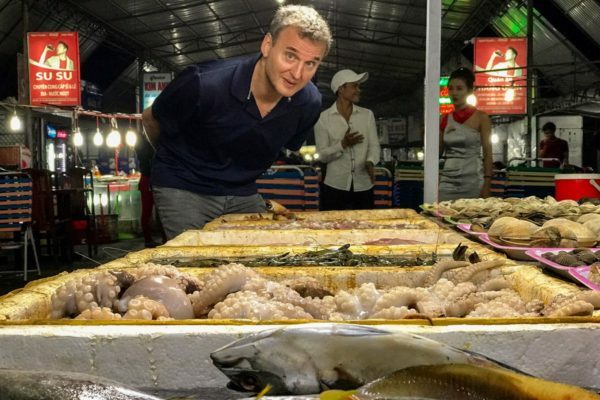 Phil Rosenthal, the creator of the phenomenally successful TV sitcom Everybody Loves Raymond, indulges his passion for travel and food in a new six-part Netflix series, Somebody Feed Phil. 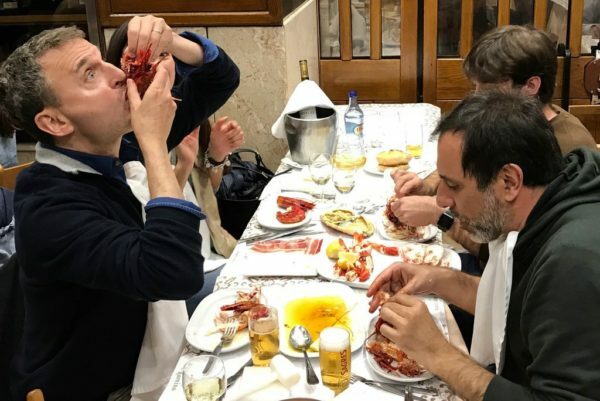 A voracious gourmand rather than an astute gourmet, he eats his way through six cities — Bangkok, Saigon, Tel Aviv, Lisbon, Mexico City and New Orleans. Although the emphasis is placed on all things culinary, Somebody Feed Phil often seems like a travelogue. Phil likes sightseeing, so he provides viewers with plenty of eye candy, some of which is quite exotic. Anthony Bourdain he is not, but that’s OK. Phil doesn’t pretend to be an expert, nor does he exude false airs. He just loves noshing his way through a city, whether the food is dispensed by simple street vendors or in fancy restaurants. He’s also a comedian, an infectious joker who never stops telling schmaltzy jokes, some of which take on a Jewish inflection. In Saigon, or Ho Chi Minh City, he devours pork chops, which he sardonically describes as “the kosher special.” And in each episode, he keeps his parents, Max and Helen, faithfully abreast of his gastronomic adventures. Judging by the first three episodes, which I watched with interest and amusement, Somebody Feed Phil is a show with legs. In Bangkok, a bustling city, Phil grows positively giddy when he reaches a famous floating market redolent of brightly-colored tropical fruit, samples noodle dishes slathered with magical ingredients, tries hole-in-the-wall restaurants and partakes of a 25-course meal in a high-end Indian restaurant. Being endlessly curious, he visits an elephant sanctuary in the countryside, and finds these lumbering creatures are really friendly giants. In Saigon, one of the most scintillating cities in Asia, he sings the praises of steaming pho soup simmered with beef fat and garlic and bites into a Vietnamese sandwich made with a French-style baguette. Venturing outside the city, he slips and slides into a knee-deep swamp to harvest the lotus flower, the national symbol of Vietnam. He then enjoys a memorable home-cooked meal with a Vietnamese family. Continuing his journey of discovery, he savors Vietnamese coffee, while informing us that Vietnam is the world’s second largest producer of coffee after Brazil. Insatiable for new experiences, Phil sips a Vietnamese hot chocolate drink, then plunks himself on the back seat of a motor bike, the most popular form of transportation in Vietnam. Back in Saigon again, he gives youngsters a brief lesson in English before treating them to ice cream. Like many travellers, Phil thinks the Vietnamese are the friendliest people in Asia. Having visited Vietnam on two separate occasions, I can attest to his upbeat assessment. Phil travels to Tel Aviv and finds it congenial, though he can’t resist the temptation of calling Israelis a nation of complainers. Accompanied by the American-Israeli chef and restaurateur Michael Solomonov, he heads to Jaffa. 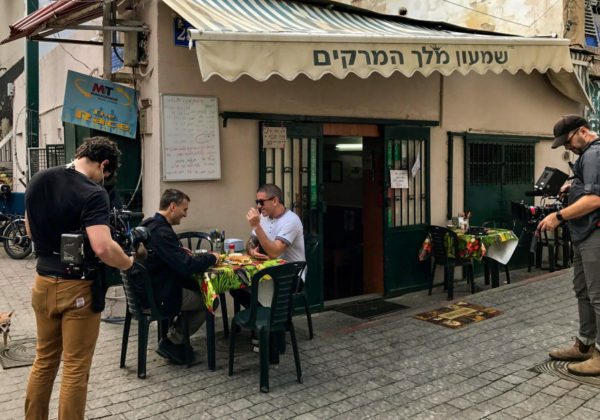 In a gentrified flea market, he visits Dr. Shakshuka, an iconic restaurant which serves an eponymous stew of crushed tomatoes and eggs; Abu Lafia, a famous Arab bakery, and Abu Hassan a hummus joint packed with Jews and Arabs. Back in Tel Aviv, he drops into a Yemenite restaurant to eat an oxtail soup. “I feel these are my people,” says Phil as he joins a group of matrons in a cafe in a mall. Visiting a fruit and vegetable market in Tel Aviv’s old port, he gushes, “The miracle of Israel is that there was nothing here.” Not exactly, Phil. You need a history lesson. As he presses on, Phil stops in Caesaria and feasts his eyes on Roman ruins, enjoys a duck meal in the Galilee and tours the old market in Acre, where he mouths down a delicious falafel. Ending his idyllic sojourn in Tel Aviv, Phil is treated to a family meal of Bulgarian kebobs and Persian rice, among other Balkan and Middle Eastern delicacies. “Can you imagine living in such a place?” he gushes, pretty much summing up his opinion of Tel Aviv.